Do you live in Toronto, Calgary, Winnipeg or Edmonton? I ask because HempFest Canada is coming to those cities this year! HempFest Canada has a variety of exhibitors, speakers and demonstrations that are guaranteed to spike the interest of every kind of cannabis lover. You can watch a glass blowing demonstration from Box Car Studios, learn about one of North America's fastest growing industries from cannabis pioneers and chat with health and wellness professionals. 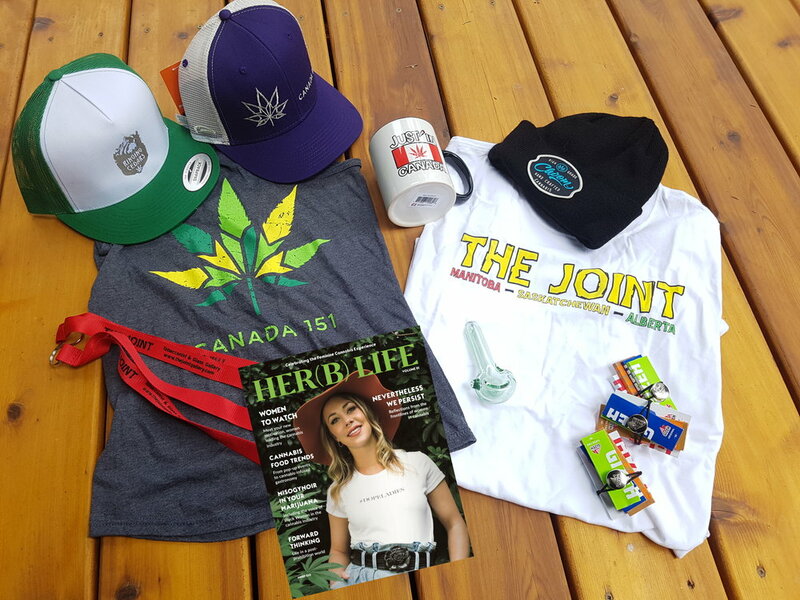 Her(B) Life will be onsite in both Toronto and Calgary and we're participating in the big HempFest giveaway this week! You could win a HUGE prize pack and two passes to the Toronto event! Simply like, comment and share this post with a friend that lives in TORONTO. Prize pack includes *or similar*. *Winner must be able to pick-up at the Expo and be 19+.